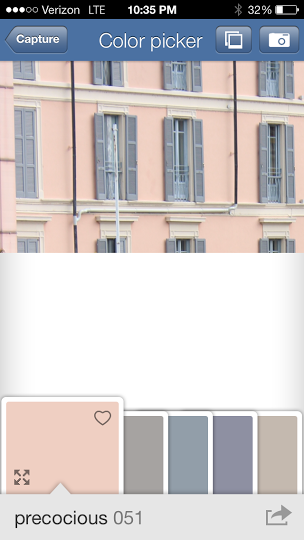 While looking through some photos from my recent trip to Europe I came across a few color palettes that I really loved. So I played around with them in my Benjamin Moore Color Capture and Sherwin Williams Colorsnap apps (you can find both in the app store). They can be a great way to turn your own photos into color stories...it just takes a little playing around. These are the two photos that stood out to me. 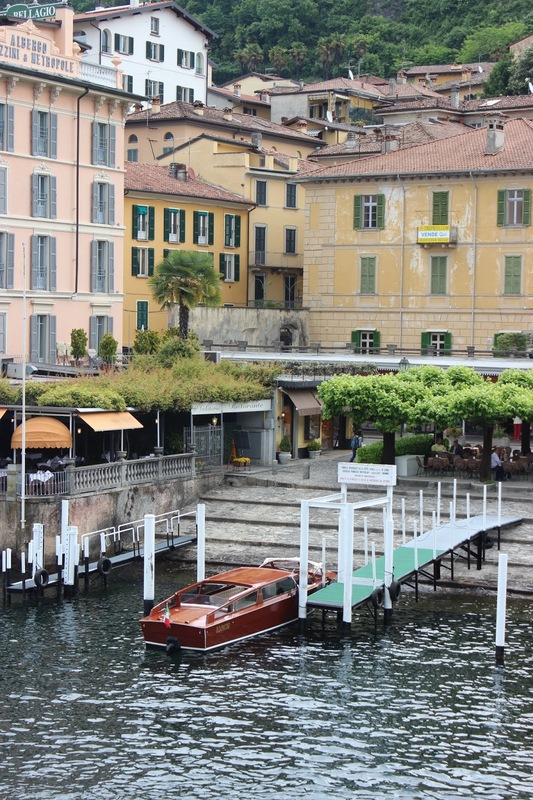 The first is in Bellagio at Lake Como. 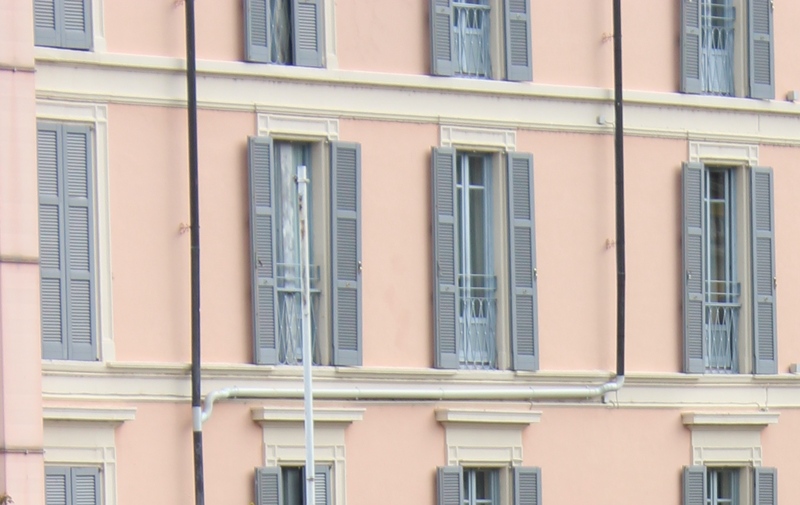 The building to the far left I love...what made it even cooler was the apricot awnings! Because there are a lot of colors going on in both pictures I cropped them down to smaller sections including the colors I liked to import into the apps. 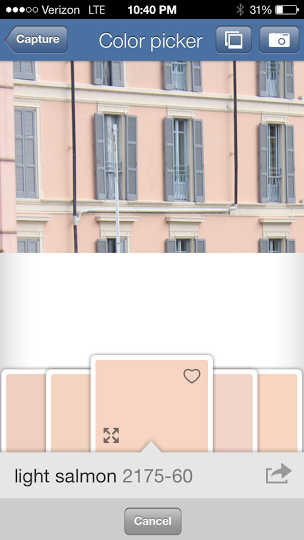 I know...more blush pink! 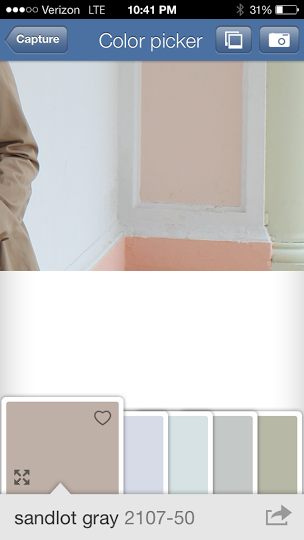 First up the Benjamin Moore Color Capture app. 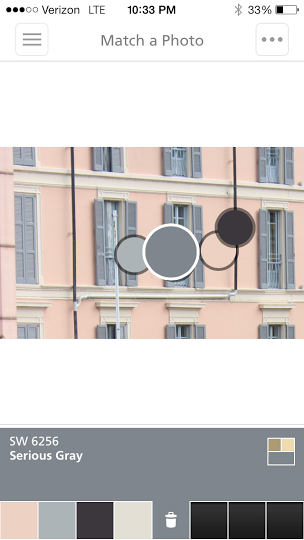 I do like how it automatically pulls together a color palette for you. Con: If you then want to adjust any of the colors with the dropper tool you loose the others. So you will just need to take notes of the colors you like...or add them to your favorites. 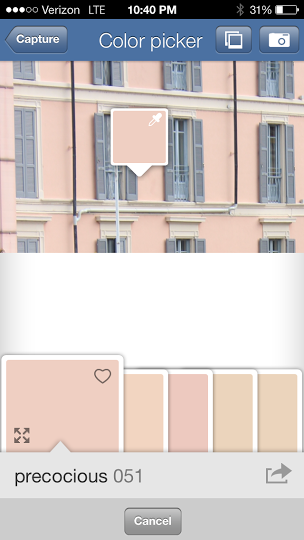 Pro: Once you have selected an area with the color drop tool it will also give you similar colors. Next is Sherwin Williams Colorsnap. I will admit I tend to use BM paint a majority of the time in design, however I think SW's app is more user friendly. It does not auto generate a color pallet but it allows you to have up to 8 color drops that you pick out all at once....as well as the ability to edit them as you go! 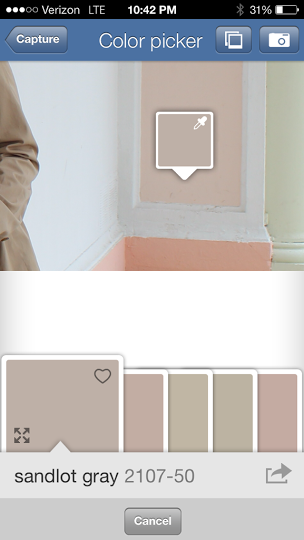 You can then save or email the color palette and it is sent like this...like your own paint swatch card! So I then edited the image to make it a little brighter and re imported with better results. You could easily play around with this using Instagram filters.